The Dufty-Lambert family increased in size by one mammal last weekend. 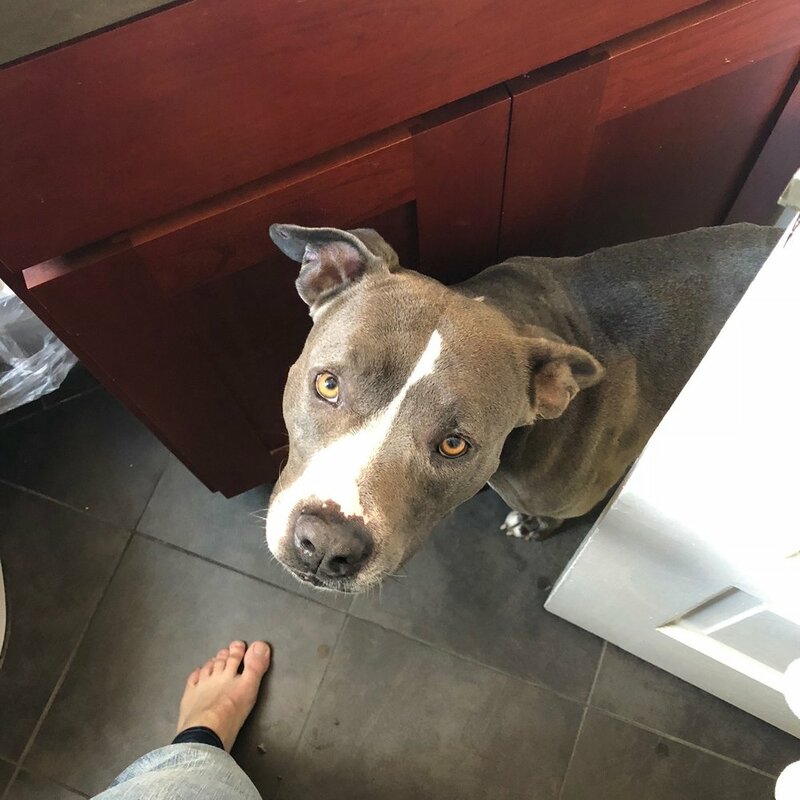 She's a super sweet girl, our Ellie, and even though she's been on the street she appears to have had good home training; she can sit and lay down and when we call her she comes. She's a bit on the lean side from not having had regular meals for a time but we're pretty stoked to change that. Also, she snores like someone shoved a stack of chainsaws into a trash compactor but she's an ace cuddle partner so we'll let that slide.